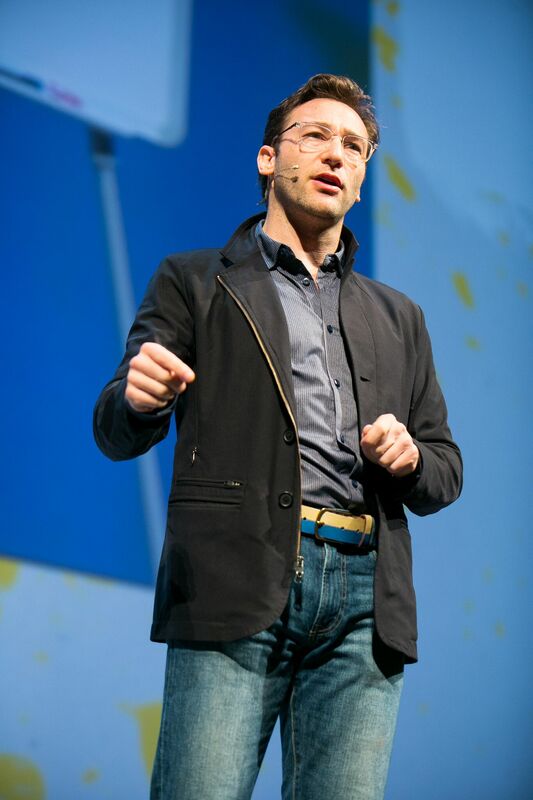 Simon Sinek keynoting at the Globoforce WorkHuman conference in Austin was one of the highlights of the annual turbo charged Inspirational event. He made his appearance on day three – a day when typically conferences can begin to lag despite the octane fuelled speakers that went before. In what can classically be called Sinek-style, he strode onto the main stage exactly on time and began recounting a historic anecdote without preamble. On this occasion, he parabled the Vietnam war. This war, he explained, saw the Americans win all the battles but lose the war. How could that be? For Sinek the answer was the pitching of two incompatible forces. The Americans, notwithstanding the growing opposition from home, were fighting a finite battle, the Vietnamese an infinite one. However in an infinite game, there are both known and unknown players, the rules can and will change, and the objective is to keep the game going. “Where a finite player is pitched against a finite player then the outcome can be judged,” said Sinek. “Likewise infinite verses infinite. The trouble comes when a finite player gets into an infinite game. Then the finite player will eventually run out of the will or resources to compete and ultimately concede the game. Business according to Sinek is also an infinite game. “There is no such thing as a winning business,” he said. “As soon as a business bases its strategic decisions on winning then it is doomed to either run out of will or resources. Finite strategy leads businesses into bankruptcy or acquisitions and mergers. Sinek maintains that in business, as an infinite player, sometimes you are ahead and sometimes you are behind – but you are always in the game. The first attribute according to Sinek is a just case, the second courageous leadership, the third a trusting team, the fourth a worthy adversary and finally a flexible playbook. Sinek gave the example of CBS: a pharmacy outlet with national coverage. They sold medicines and claimed to care about their customers’ health. However, they also sold cigarettes. “It’s a proven fact that cigarettes can be an impulse buy,” said Sinek. “CBS’ stocking policy was not compatible with their stated aim to look after their customers’ health. So the management decided to stop selling cigarettes. According to Sinek there is an aligned issue with leadership – trust. “Navy seals when asked to pick leaders used the ‘performance over trust’ equation. A high performer with low levels of trust is not as important as an average performer with high levels of trust. Sinek outlined a worthy adversary as what gives businesses an edge – a form of upping their game. And finally explained the flexible playbook concept.